With the Scottish Government’s consultation on the new Climate Change Bill closing on the 22nd of September, Nourish is publishing a series of blogs about each of our four key asks for the Bill. Third up: A strong target and more support for agroforestry in Scotland! If you haven’t already, please do check out our campaign here and take part in the e-action run by the Stop Climate Chaos Scotland coalition (of whom we are a member) here to ask the first minister to take more leadership on mitigating climate change, and specifically focus on food and farming. We want the Scottish Government to set an ambitious target to establish agroforestry on at least 5% of our agricultural land area by 2030. We also want the Bill to include measures to support farmers to adopt agroforestry measures as well as investment in research and development. Agroforestry involves combining production from trees with production from crops or livestock and has the potential to sequester considerable amounts of carbon in the soils, as well as making farming more productive and resilient. All these benefits rely on good selection of species (trees and livestock), good system design and careful management. There are many different approaches, from rows of fruit or nut trees 20 or 30 meters apart in cereal fields to ‘alley croppi ng’ with dense hedges of willow or hazel. Grazing systems can simply involve managed seasonal access to woodland at controlled stocking densities; or new planting in existing grazed pastures with trees individually protected from stock until fully established. Agroforestry can increase farm productivity while improving soil quality, water management, animal welfare, biodiversity and both mitigating and adapting to climate change. 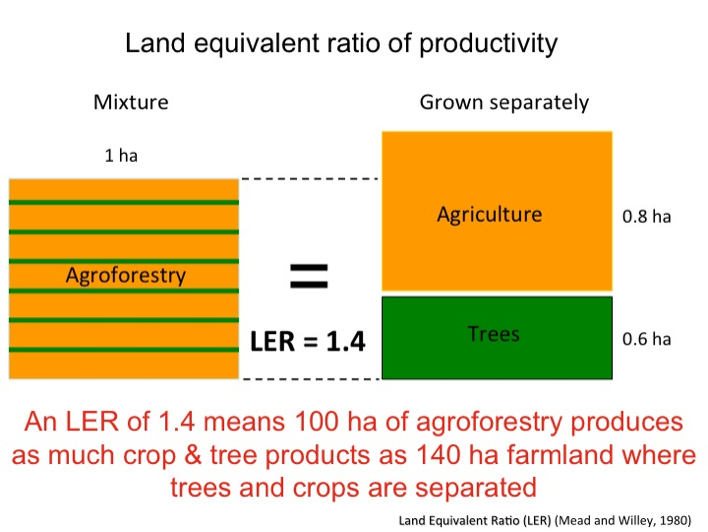 See image on the right comparing the productivity of agroforestry with farmland where trees and crops are separated. Agroforestry practices may use only 5% of the farming land area yet account for over 50% of the biodiversity – improving wildlife habitat and harbouring birds and beneficial insects which feed on crop pests. In terms of reducing the use of nitrogen fertilizer (see our blog on the Nitrogen budget), nitrogen-fixing trees & shrubs can substantially increase nitrogen inputs to agroforestry systems. 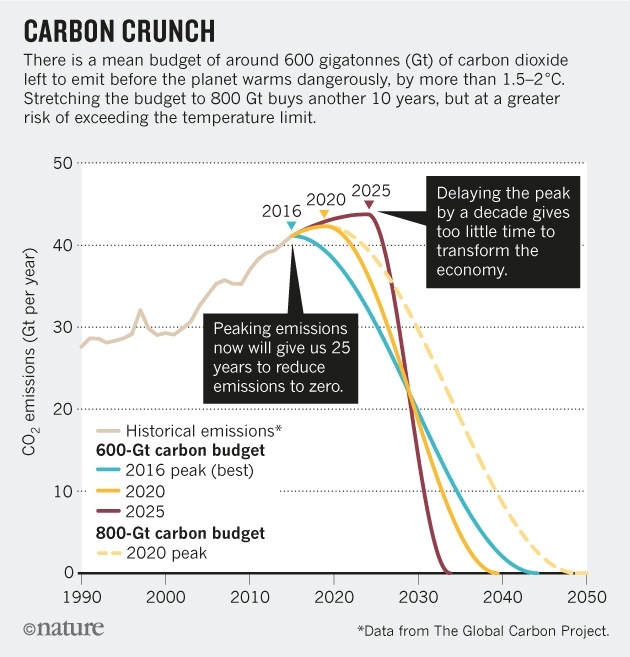 The addition of tree litter and high-quality tree prunings (which are high in nitrogen and decay rapidly) leads to large increases in crop yields. Want to know more? The Agroforestry research trust provides a whole list of other benefits here. Or check this super-short video by the Woodland Trust. Historically – up to 1800 – most pastures for livestock grazing would have included trees. Intensification and changes in management practices mean that woodland grazing is now relatively unusual in Scotland. Indeed through the establishment of the Forestry Commission and many decades of separate support for forestry and agriculture, trees and agriculture were kept apart. In Scotland we have seen a decade of aiming to get delivery of well-intentioned integrated ‘woodlands on farms’, but still kept in separate blocks. We now need to unlock the true potential of combined use of land. While the pace of development will be modest in the next couple of years, the scope for agroforestry is considerable, especially across areas of upland grazing. The woodland target of 10,000 hectares per year (which is set to increase in the new Climate Plan) is challenging and could be met in part through extensive agroforestry systems. The UKCCC ‘high ambitions’ scenario estimates that a reduction of 0.16 MtCO2e can be delivered by 2030 by establishing agroforestry on 0.6% of agricultural land area. This reduction would increase in subsequent years as schemes mature, and in our view 5% rather than 0.6 % is an achievable target, provided that the right trees are planted in the right places. 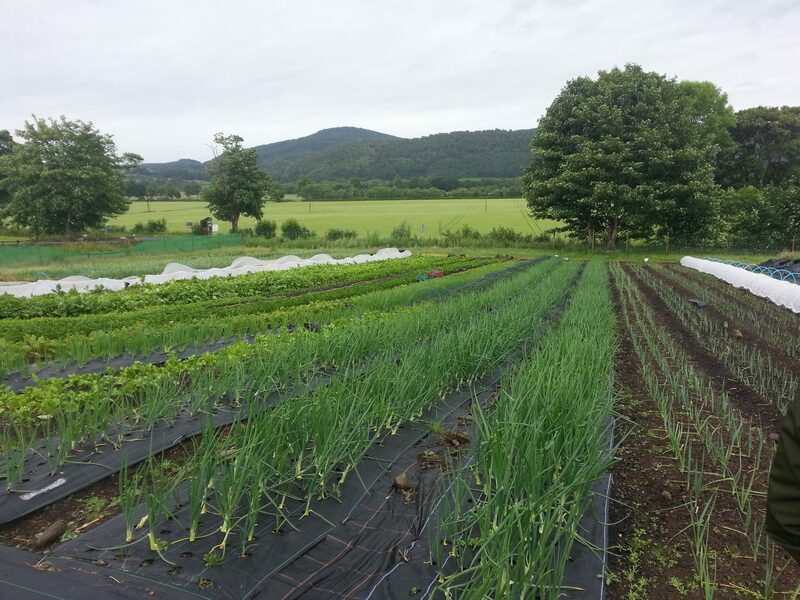 The new Scotland Rural Development Programme for the first time proposed to include funding for new, true agroforestry schemes. 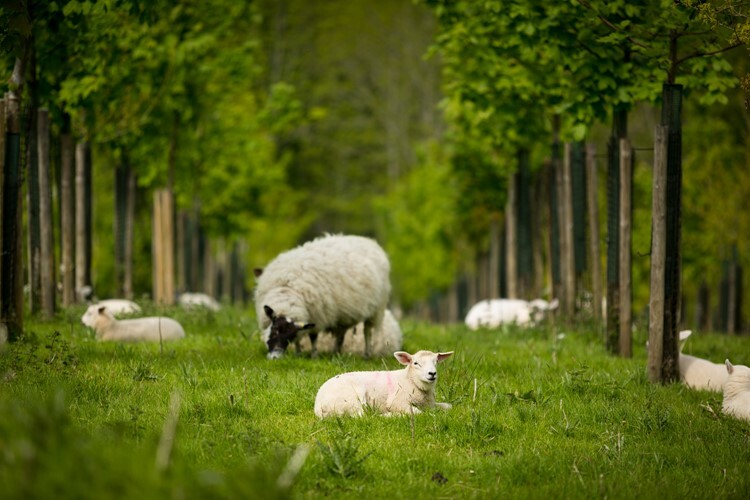 Agroforestry is also an option for Ecological Focus Areas under the standard greening scheme. As this is a new funding stream and uptake so far has been low, we would encourage the Scottish Government to be proactive in promoting and supporting this option; and in ensuring that advice, knowledge transfer and research are used effectively to ensure best practice in agroforestry in Scotland. Agroforestry needs to become a mainstream element of the Farm Advisory Service’s work, and a familiar option for SRDP case officers. At farm level, agroforestry should be discussed as an option as part of carbon audits and whole farm reviews. At regional/landscape level, co-operative schemes for agroforestry at scale should be promoted. We are keen to see the establishment of an Operational Group, bringing together expertise from farmers already engaged in agroforestry, SNH, RPID, SRUC, James Hutton Institute, SRUC, Forestry Commission, Farm Woodland Forum, RSPB, Scottish Woodland Trust, NFUS, Soil Association, SEPA, Scottish Water and others, to develop and promote agroforestry in Scotland jointly. Would you like the Scottish Government to focus more on agroforestry to mitigate climate change? Please take part in the e-action today. Making a Living from Local Food in its 2nd year!